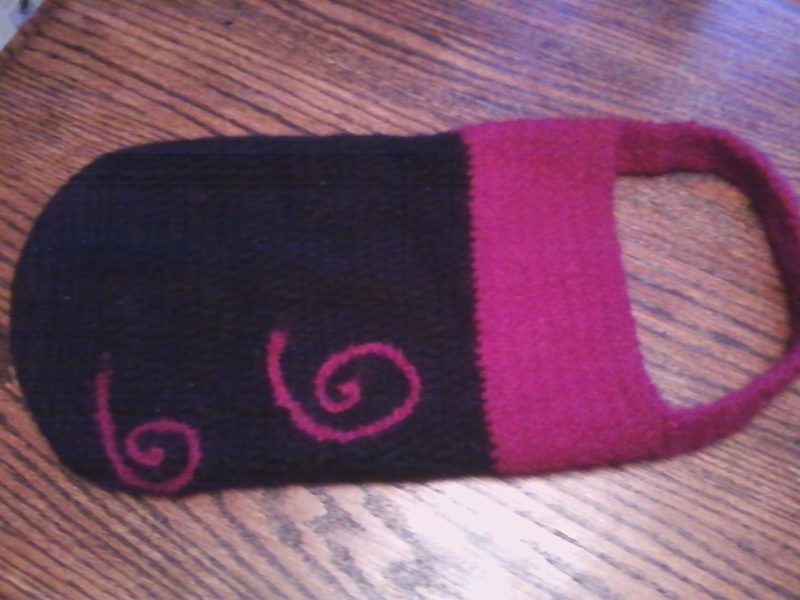 i had some black wool left from the purse i crocheted and felted recently, so i decided to make a wine gift bag for it. i used this pattern from lion brand for the general concept, but didn’t actually follow the pattern. turns out i should have – the size is a little wonky. since felting shrinks items, it can be a little tricky to know what size the final product will be. i made this too big so i guess it will be for those massive 1.5 liter bottles of wine! i recently learned how to do surface crochet so i made some little swirly designs on it that turned out kind of cute. note to self, though – surface crochet is more fun on a flat item than a bag you have to keep reaching inside of to find the yarn!!! 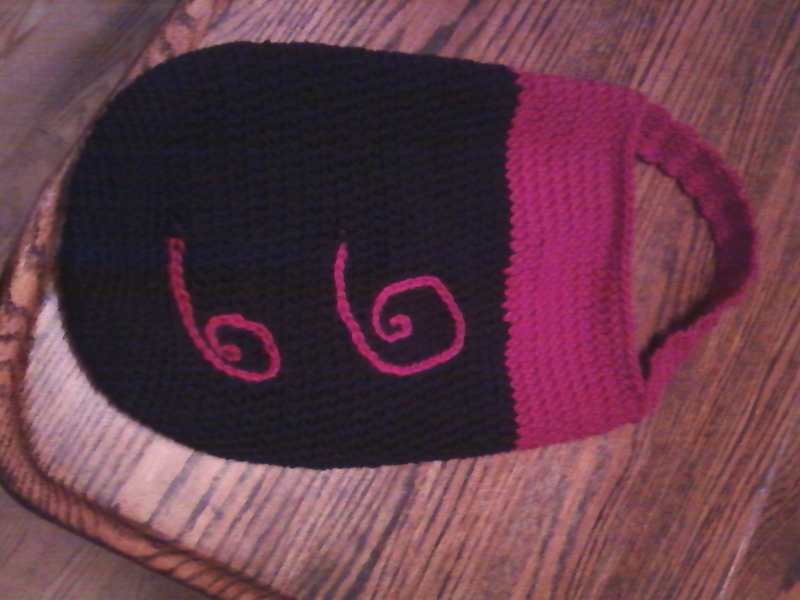 i am not totally happy with it, but i got both the black and pink yarn with coupons so at least it wasn’t too expensive. i had pink yarn left, so i made a couple of coasters – post with those coming soon! This entry was posted in Crochet and tagged crochet, felting, surface crochet, wine bag. Bookmark the permalink.